Lately, there has been a steady influx of electric two-wheeler manufacturers in the country. The fast depleting resources based on fossil fuel is pushing brands to come up with eclectic alternatives. Revolt Intellicorp is one such startup which intends to enter the Indian electric two-wheeler business with its first motorcycle in June. The company is founded by Rahul Sharma, who is also the co-founder of Micromax. We had earlier reported about the details of the brand’s plans and you can read all about it here. 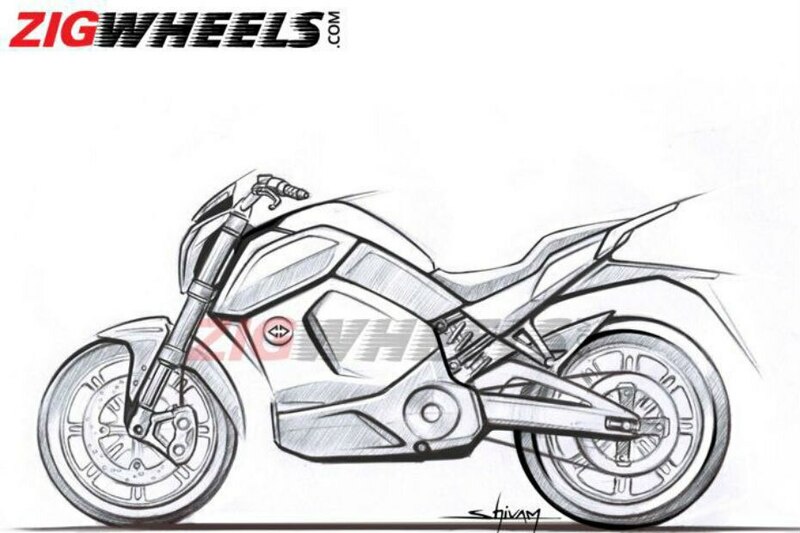 The company has shared the initial design sketch of its maiden product with our sister publication, ZigWheels. Going by the picture, it’s a really sleek-looking naked bike with body fairing on the sides. The sub-frame is short, complemented by a meaty-looking rear tyre. The underpinnings are all premium - you can see the inverted forks up front and a monoshock at the rear. The front disc comes with a radial caliper too, while there will be a disc at the too. Power is sent from the mid-mounted motor to the rear wheel via a belt drive. The large pulley should help in amplifying torque at the rear wheel effectively. 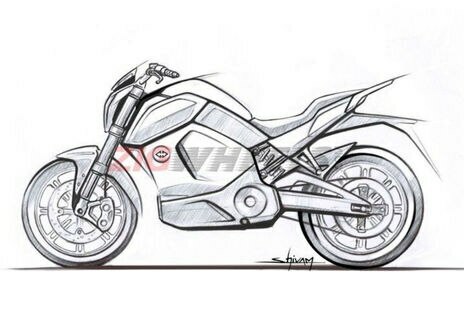 In an interview with ZigWheels, chief designer Shivam Sharma revealed that it took around six months to arrive at the design sketch. They made seven mock-ups before arriving at the final design. The company also revealed that the seating position is comfortable enough for both rider and pillion. Revolt seems to be pretty confident about its motorcycle and the company says that it is targeting the entire motorcycle market with its upcoming product. For the full interview, head here.